PLEASE NOTE: The Description Below shows the # G5F ( w/Filtration System ) **This unit DOES NOT SHIP FREE, an additional Post Sale Fee of $85 is Added on All Global Cooler Orders. Questions?... Please Call Us. 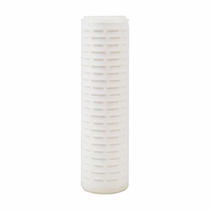 The G5F Filtration System also has a large dispensing gap, Ideal for filling up large bottles or containers. The G5F Model from Global Water is a well-designed Hot/Cold/Ambient Bottle-Free Water Cooler. This new unit has a 5 Gallon Storage Capacity. 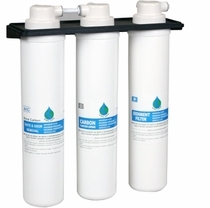 The unit is plumbed directly in to your cold water line eliminating the need for those heavy 5 gallon water bottles. The G5-F has adjustable heating and cooling capabilities and guarantees quality, reliability, and easy serviceability. The unit is equipped with a hot water lock to prevent children from burning accidents, electric shut off valve to prevent overflows and stainless steel reservoirs to keep water safe.